It is not always easy being a staff member at 4:13 Strong. Each year, we administer four back-to-back classes. We start the year running full speed ahead and don’t get a real break until all the men in the fourth class begin working, usually sometime in mid-September. This schedule is not just demanding, it is emotionally exhausting. We get consumed dealing with all the challenges and struggles the 4:13 Strong men bring with them when they enter the program and often forget to recognize and celebrate some of the accomplishments along the way. I think we do a nice job of recognizing our men at graduation, but we miss a lot of the smaller victories that are happening along that path to graduation. This year 4:13 Strong committed to be more intentional about recognizing and celebrating some of those accomplishments by implementing a Career Fair and Signing Day. Getting a job is a really big deal for these guys. The 40-Day Challenge is no joke…it takes a lot of hard work and discipline to earn the privilege of interviewing with a 4:13 Strong Job Partner. 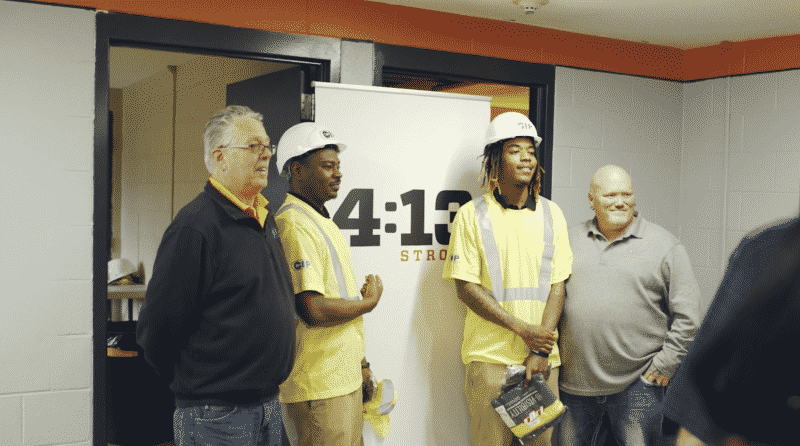 To celebrate that accomplishment, we put together the first ever 4:13 Strong Career Fair. We had 7 different Job Partners (all who were looking to hire our guys) come out on campus and set up a booth. For about two hours, the 4:13 Strong guys were able to work the room and speak with each company about their employment opportunities. 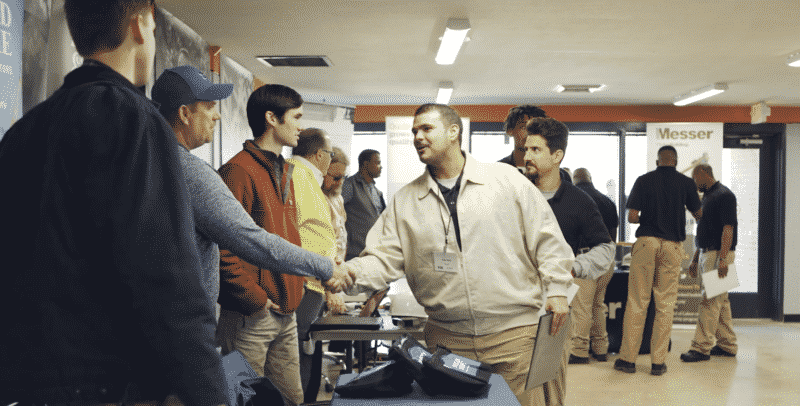 The Career Fair was followed by two days of interviews and employment offers. By the end of that week, every man had at least one job offer, and several men had multiple job offers. We celebrated that by having our first ever Signing Day. Just like high school athletes declare where they will go to college on National Signing Day, the 4:13 Strong guys declared where they would be going to work on the 4:13 Strong Signing Day. We had about 40 people show up for our Signing Day to help us celebrate the hard work and dedication our men have put into building a better life for themselves. Congratulations to the 15 men who accepted their job offers at our first annual Signing Day. We are so proud of them! Thanks for your support. 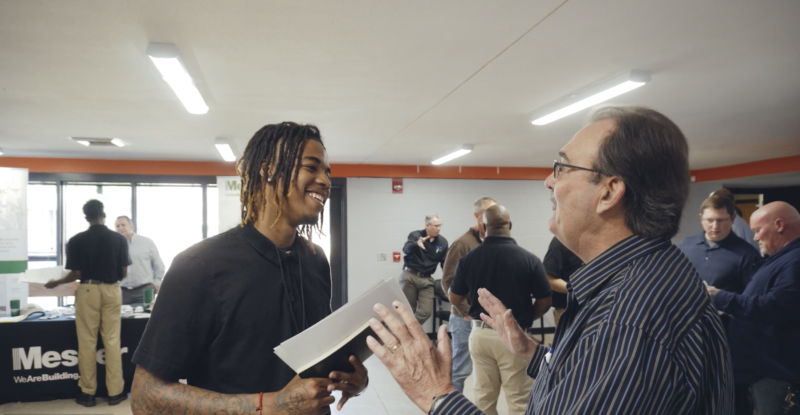 Continue to partner with us and pray for the men as they begin their full-time jobs and start working toward graduation. If you would like to learn how to become a Job Partner and join us at our next Career Fair, email Steve Norris at [email protected] to find out more information.